Many of our current technologies are useless against the growing threat of kitteh warming, but scientists are developing a planet-sized catnip toy that shows great promise. 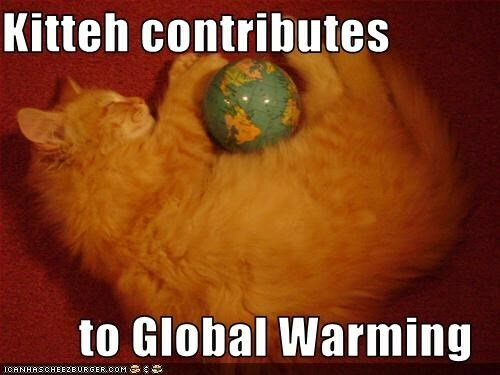 This entry was posted in Science Caturday, Uncategorized and tagged climate change cat, global warming cat, science cat, science lolcat. Bookmark the permalink.